Income focused investors should first be checking the income on their portfolio to see if it is sufficient to fund their lifestyle. The answer to that question will influence the strategies they should be considering. If their portfolio income along with other income sources like social security are adequate, there is less to worry about. They will not need to sell shares in a market downturn. The best thing they can do is focus on that income amount and not let volatility or market downturns shake them from their strategy. There are some prudent steps they can take that apply to those that need to also use principal to fund their lifestyle. Check the quality of your dividends. Do companies payout more in dividends than they earn. That can be a warning sign to a future dividend cut. Also how long has the company paid a dividend and have they had to make cuts in the past. Also check the companies debt level. If they are highly levered, interest expense could start to jeopardize the dividend. To me the higher income from high yield bonds almost never justifies the risk. This asset class acts like an equity on the way down and a bond on the way up. Not too appealing for most investors. Don’t get me wrong, some famous investors have made fortunes in this space picking through the rubble, but most investors access this asset class through funds or indexes and the risk reward just doesn’t do it for me. Stick to BBBs or better. You can find 4 or 5% yields in that space. Speaking of bonds, I prefer owning individual bonds versus funds in a rising rate environment. You control your destiny and can hold to maturity. Just do a similar vetting as in step 1 to check the quality of the company before owning their debt. There is a lot of fear right now about a massive downturn in the market. While the reality is that no one knows, I believe we live in a time of amplified emotions. Not just because of social media, 24-hour news, or politics (although they certain contribute); but since the Great Recession I find investors still are rattled to their core in fear of it happening again. Also, more people than ever are entering retirement making the stakes higher than ever before. These emotions amplify the good and the bad. Realizing that is half the battle, the second half is taking advantage. While another recession is eventually guaranteed, that doesn’t not mean we have to drop 50% and have a financial collapse of the system. Most likely we can expect something more modest. Use sell-offs to improve the quality of your income. Buying those “accidental high yielders”. 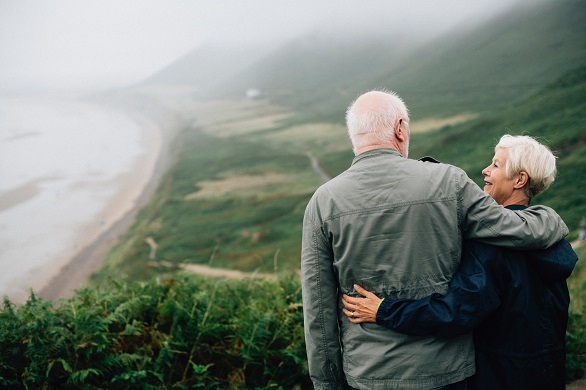 Taking social security early is a permanent decision and can also hurt a spouse if they outlive you and can collect on your benefit so be very cautious. That being said if you are pulling from retirement accounts being taxed at ordinary income it could be a smart strategy. I don’t think downsizing to get ahead of a potential market correction is smart. There are many other more important reasons like cutting expenses, quality of life, up keep, etc. If your living off the income from your portfolio and are not in the rent game yet, I think you missed the boat. Taking on that headache now is not worth the yield in many cases. Unless you can find some extraordinary income producing property with free cash flow of 10% plus, why deal with all that drama now? Do you really want to be woken up in the middle of the night to fix a leak?